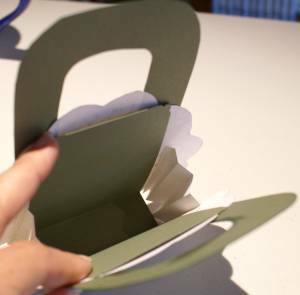 This paper purse can made so that it opens up. You could use these pretty little containers as party favors, place cards, a jewelry box, decorative elements or a host of other purposes. Add a message to the bag for an extra special card idea. 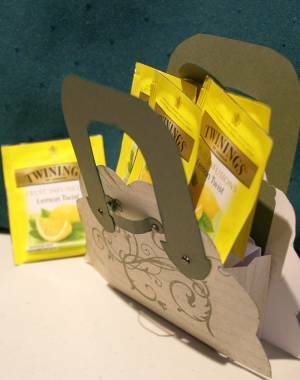 I found some lemon twist tea bags to put in mine, but you could hide some jewelry, some chocolate, some little pencils or sea shells or any small thing that you fancy in yours. 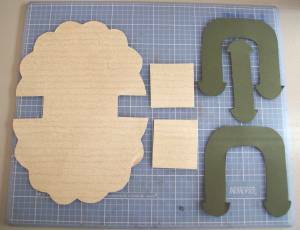 "Ere fancy you consult, consult your purse"
Right-click this link to download your free Paper Scallop Purse Pattern. PLEASE NOTE: You will need Adobe Reader (the latest version is recommended) installed on your computer in order to open and read this pattern. You can get Adobe Reader here. A new window will open so you can download it without leaving this page. If you have trouble opening the pattern file, feel free to contact Susan for extra support. 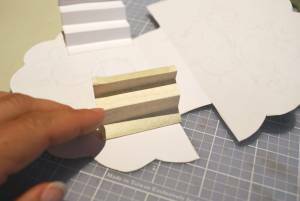 Want to know more about a paper craft techniques, tools or terms? Ask your question here! 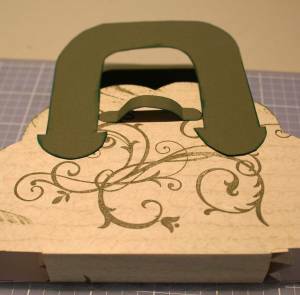 You can make an insert for your bag if you want to as well. 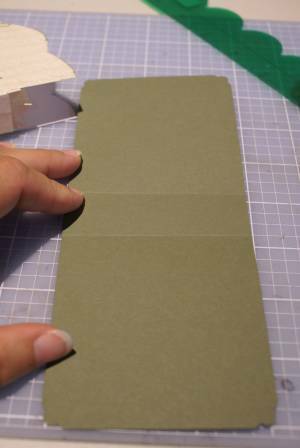 I used the same coordinating coloured cardstock and just cut a rectangular piece that fit inside, wrapping it round the outside to get the scoring lines and then scoring those before I inserted the lining. I also paper punched the corners of the lining to make it look more finished. Finish decorating your bag. 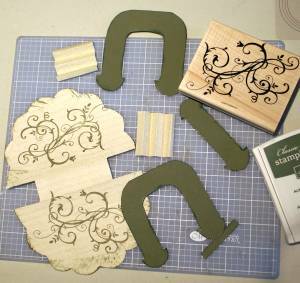 I added brads to the handles and retaining piece but you could add paper flowers, butterflies, gems and any other embellishment that you like. 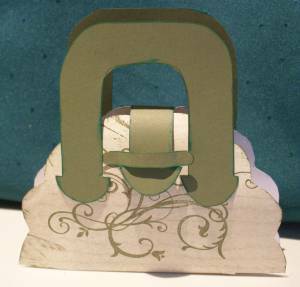 If you make your own paper purse and want to show it off, please do! I would love to see it and so would other readers. Or if you have a novel idea for how to use these little bags, do tell! 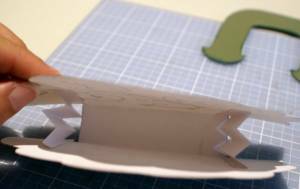 For example, I made a paper wallet to hold a wedding Wishing Well gift and placed it in the bag.